It was the summer of 2007, and I was 13 years old. I enjoyed playing the piano, writing stories, cooking, and above all... dancing. By this time, dance had become my passion, and I was taking classes five days a week. When it was difficult for me to breathe on a family hike to the top of Yosemite Falls, I thought it was the altitude, my imagination-- something. I then noticed, for the first time, it was difficult to breathe lying on my back. Turning on my side, the pressure on my lungs seemed to be lifted, and I could finally fall to sleep. As September greeted me, I was feeling terrible every second of every day. I was dizzy, as white as a sheet, and so tired that the couch became my new hangout. We then began our weekly trips to the doctor. The day I went for my very first appointment, my new doctor suggested that I might be depressed. What?! Then, hearing my chuckles at the diagnosis, my doctor ordered a blood test. I’ll never forget the morning I had to go for my first “poke” to draw blood; I was terrified. As November rolled around, we were desperate to find out what was wrong with me. My quality of life had been scraped down to almost nothing, and by this time, I was barely able to go to my dance classes. Strangely enough, as I struggled through class, a vital symptom emerged. It was what I called a “dolphin cough”, a high-pitched wheezing cough that escaped when I exerted myself. At my very next appointment with the doctor, we asked for a chest X-ray to check on my lungs, and the X-ray came back abnormal. It was at this time that my doctor referred us to a pediatrician. My new pediatrician ordered a CT scan, and then came the day that we finally found what was making me so sick. An enormous mass sat in my chest cavity, constricting my airway and blood flow. Numb. I was completely numb. On November 29th, 2007, we met Dr. Daniel Greenfield at Cottage Hospital. Immediately, I felt confident with his care. The next day, I would have a PET scan and then, soon after, I would need a biopsy. Because the mass was so large, there was a danger of my airway collapsing during surgery and special anesthesia arrangements were made to ensure my safety. Finally, on December 18th, 2007, the phone rang. We at last had a final diagnosis-- Hodgkin lymphoma. Four rounds and 48 doses of chemo later, I emerged thrashed and worn, yet bald and proud. My mass had responded to the chemo, but radiation was required to shrink it further. Then, on April 21st, with a head as fuzzy as a peach, I began the first day of three weeks of radiation. During the daily hour and a half drive to Santa Barbara, my mom and I always seemed to find something to laugh about. I dressed up my giant stuffed gorilla, Antonio, in a different costume each day. He brought much needed comic relief and smiles to the staff and the patients at the Cancer Center. Despite being sick of being sick, I had become used to being a cancer kid. But it was May 8th, 2008, as I finished treatment, when I took on a new identity. The victorious, proud feeling inside of me was soon replaced with helplessness… now what? I had gotten through treatment for the killer of all killers, so now what do I do? There was no goal, no ending. Nothing. Cancer gobbled me up, chewed me up, and spit me out, and returning to my old life was entirely impossible. In a sense, the “old me” died, and I was left huddled on the couch searching for the “new me.” It was not long after the end of treatment, that late effects surfaced-- the worst being my digestive problems. A daily battle, the side effects were finally traced back to one of my medications. But it was too late. In a deep, dark depression, my physical hatred of food turned into an emotional hatred. In the following months, I fought what was likely the most life-threatening battle of all, an eating disorder. I was 5’4” tall; I weighed 79 pounds. My bright spirit dimmed before disappearing in the darkness of depression. The girl who had fought so hard to stay alive now wished to be permanently spared all the pain of life. I began to see a therapist to begin healing emotionally. Then, one day I picked up a pad of paper and a pen, and I began to write. I started from the beginning, right when the whole world, and life that I knew and loved, got blown to pieces. Without the goal of a book in my mind, I just wrote-- wrote about what had happened and exactly how I felt about it. I wanted it to be pure, honest, and utterly truthful. This is what cancer is; this is how it feels; this is what it is like to go through it. Shortly after Christmas, we submitted my book, Grace, to Greenleaf Book Group. Grace was accepted, and over the past six months, we have been working closely with Greenleaf on the second edition. Grace: A Child’s Intimate Journey Through Cancer and Recovery was published on October 1st of 2010. It has over 60 pictures, a foreword by Dr. Josh Schiffman, and endorsements from Jeff Foxworthy, Lance Armstrong, Kathie Lee Gifford, Nobel Laureate Dr. Lee Hartwell, and more. It’s impossible to tell you everything I’ve learned from my cancer experience. It has completely changed me into the person I am today. In my battle with cancer, I learned an endless number of lessons, and I am blessed to have learned so many life values at such a young age. I’ll tell you, there’s a lot of time to figure out this whole “life” thing when you’re lying in a hospital bed. 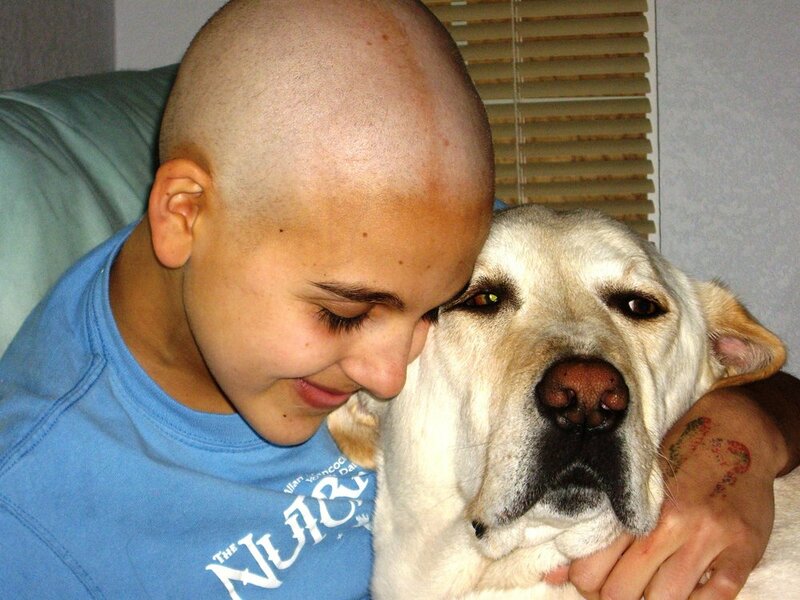 Cancer… I despise its suffering, yet treasure its lessons. Life is a single, long hallway lined with trials, yet when you push through the trials and difficulties, beauty and joy await you at the end of the hall. This beauty is the gratitude, lessons, and people that make all of the pain worth it. I pray that God takes all of the suffering and pain of cancer and continues to turn it into something beautiful for those He loves.